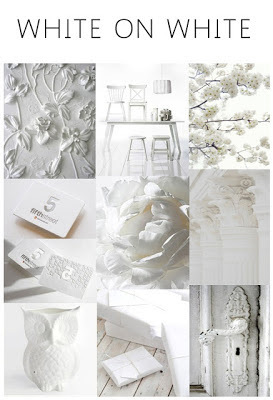 Isn't this a pretty inspiration board? It's Simon Says current challenge White on White. 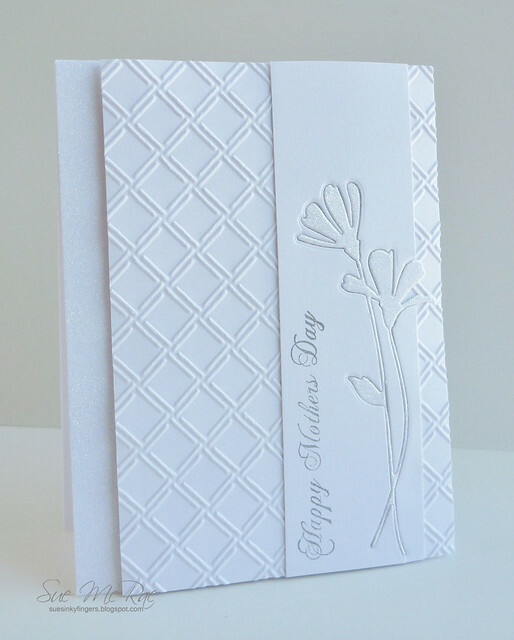 I love making all white cards especially for weddings and anniversaries but today I went with a Mother's Day card. It's hard to see in the pic but the daisies and the strip on the left are sparkly with Glitter Ritz, so very pretty in real life. Thanks for visiting and wishing you an inky weekend! Love your all white card! Man, oh, man that is one gorgeous card, Sue! LOVE the wonderful texture and the glitter looks amazing! such wonderful texture on your beautiful design! Stunning card, I love the glittery daisies and how you have left the die cut in the card, very effective. Love your embossed background too. Beautiful texture work Sue--I'll bet it just positively sparkles while holding it! 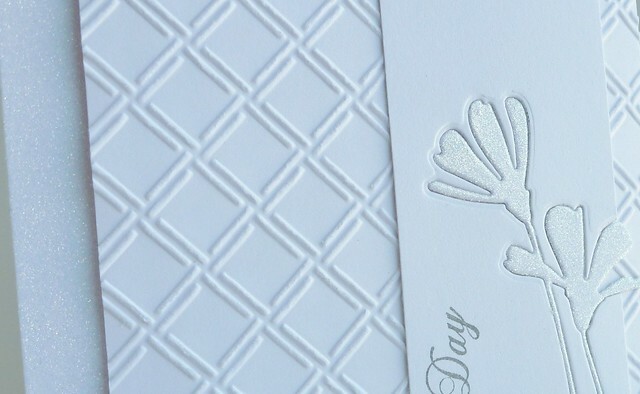 Gorgeous white on white card Sue! This card is stunning! Love the white on white effect and the glitter on the daisies! So elegant! I think I have to case this! So sleek and elegant. Love that die too. So beautiful and elegant ! !